State park rangers perform as badged peace officers today. Historically, this was not always the case. The earliest park “guardians", “wardens,” and “custodians” acted as fee collectors, restroom cleaners, interpreters, campfire builders, song leaders and trail masters; however, only males could hold the title of "warden." The term warden was changed to ranger in 1940. Harriett “Petey” Weaver was unique back in the 1930s. Although she did not bear the official title, eventually Petey’s job functions mirrored those of a state park ranger. She began as an unpaid recreation leader and guide at California Redwood Park (now Big Basin Redwoods State Park) in 1929. When she retired in 1950, after 20 summers of service, she carried a deputy ranger badge. In 1972, Paula Peterson became the first female officially classified as a State Park Ranger. The duties of park ranger had changed greatly since Petey Weaver’s time. By the 1960s, rangers had taken the role of peace officers, which required training in law enforcement and weapons. Paula Peterson was instrumental in creating the defensive-tactics training program still taught today. She eventually became Chief Ranger for the Monterey District. 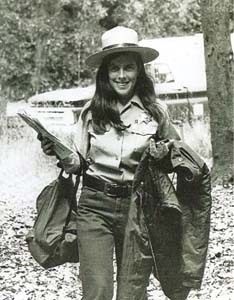 Patricia M. Scully became a park ranger in 1974. Ranger Scully was dedicated to the preservation of the environment and the education of park visitors while working for her master’s degree in anthropology and environmental resources. 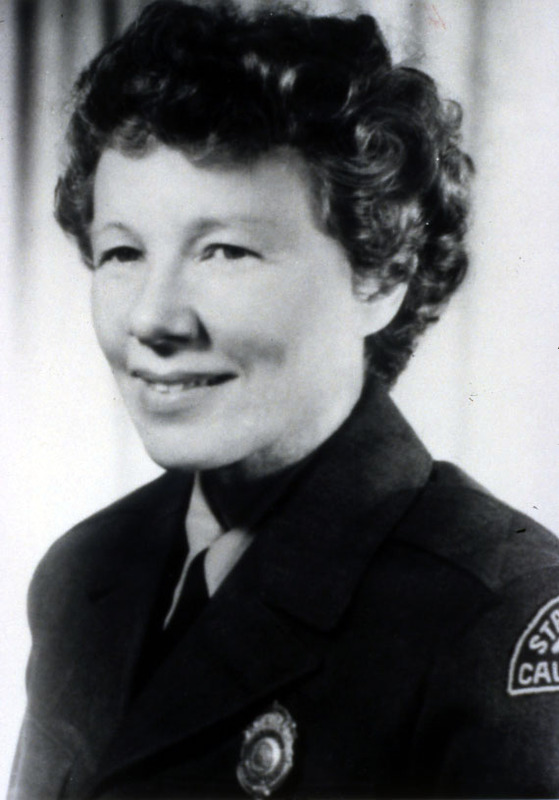 During her patrol at San Mateo Coast State Beaches near Half Moon Bay, Ranger Scully was killed by a drunk driver on May 6, 1976. She became the first California State Park ranger killed on duty by a criminal act, and the second ever female law-enforcement officer to be killed on duty in California. A portion of State Highway 1 in San Mateo County has been dedicated in her honor.